NFPA, Disposable, Round Line Repairable & Compact. Backed by five-year warranty, ARO offers one of the most reliable cylinder line on the market today. 2, 3, and 4-way Valves, Available with Electric, Manual, Mechanical, and Pneumatic Actuators. Miniature to Full Size Valves. Whether it’s high flow or compact design, count on ARO valves for your application. 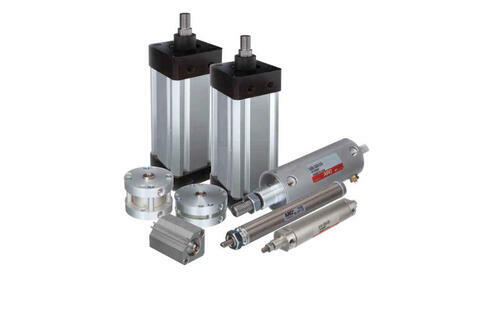 ARO pneumatic valves and cylinders can be found in most production applications, and are key components in running a smooth and successful operation. ARO logic controls simplify the design and installation of sequential control for production processes. 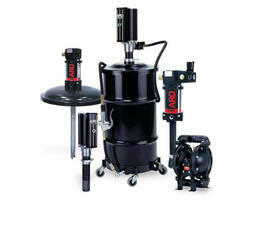 Known for their reliability, these components are also ideal for harsh and explosive environments. 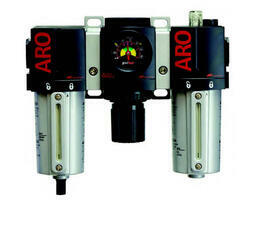 ARO filters, regulators & lubricators are an excellent means of keeping air supplies in top condition. 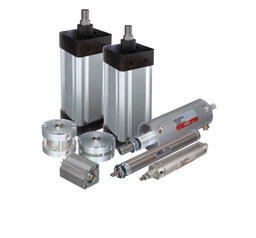 Piston pumps provide dependability & precision control for the delivery of a wide range of flow-able materials. Diaphragm pumps are designed for general use. 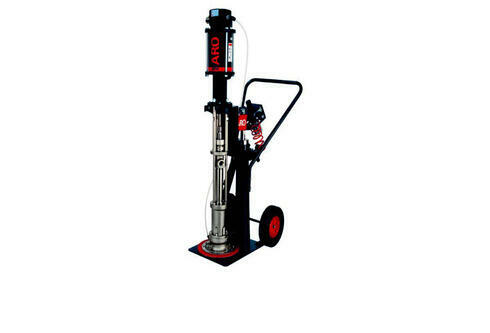 Easily pump from clean viscosity fluids to abrasive medium viscosity fluids. With proven performance in the field and backed by an industry leading 5-year warranty, ARO air operated diaphragm pumps are a versatile fluid handling solution for numerous applications. Known for its industry-leading efficiency, reliability, and flow rates, and a large range of material and porting configurations, ARO has the right pump to deliver consistency in the most demanding situations. 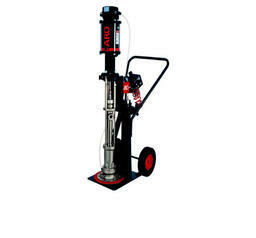 Due to their pneumatic motor, they could be used in potentially explosive areas. 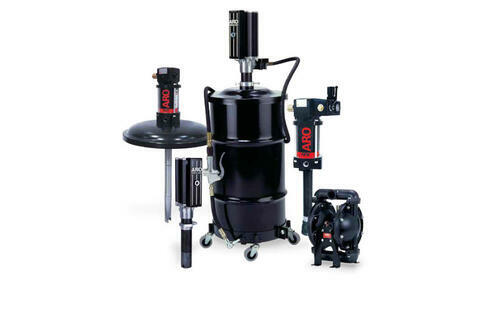 ARO, a division of Ingersoll-Rand, is a leading worldwide manufacturer of fluid handling products that are expertly engineered to deliver performance and serviceability. 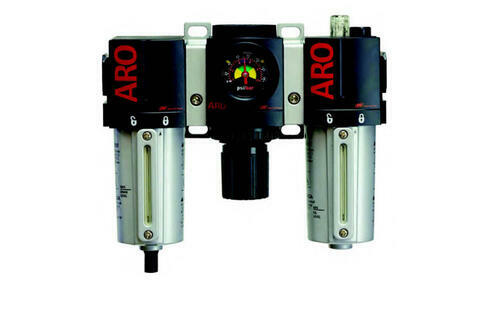 ARO is fluid intelligence—the smart choice in fluid management products for Industrial operations. Our air-operated diaphragm pumps, piston pumps, filters, regulators, lubricators, lubrication equipment, and pneumatic valves / cylinders are expertly engineered to deliver performance and serviceability. That’s why ARO is fluid intelligence, the smart choice in fluid management products for industrial operations.